An interview with Stephen A. Diamond, Ph.D.
A clinical and forensic psychologist, Stephen Diamond works with many talented individuals committed to becoming more creative. As he explains in his book, “Anger, Madness, and the Daimonic,” our impulse to be creative “can be understood to some degree as the subjective struggle to give form, structure and constructive expression to inner and outer chaos and conflict. Anger, he asserts, is one of the most troubling emotions for psychotherapy patients in general. Yet, there is, Diamond says, a “very strong correlation between anger, rage and creativity, one which most people are not aware of. 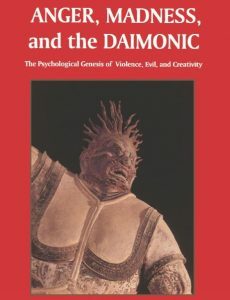 In his brief foreword to Diamond’s book, psychologist Rollo May introduces and defines the classic Greek conception of the “daimonic” or darker side of our being, noting that “the daimonic (unlike the demonic, which is merely destructive) is as much concerned with creativity as with negative reactions. “A special characteristic of the daimonic model is that it considers both creativity on one side, and anger and rage on the other side, as coming from the same source. Dr. Diamond holds that creativity may be a powerful and often dark endeavor: “The more conflict, the more rage, the more anxiety there is, the more the inner necessity to create. “We must also bear in mind that gifted individuals, those with a genius (incidentally, genius was the Latin word for daimon, the basis of the daimonic concept) for certain things, feel this inner necessity even more intensely, and in some respects experience and give voice not only to their own demons but the collective daimonic as well. Speaking of his gifted patients and artists in general, he adds, “Who wouldn’t be a little neurotic having that kind of responsibility? He claims that most mature artists “realize the relationship between rage and creativity. It is their rage that, when redirected and channeled into their work, gives it the intensity and passion that performing artists such as actors and actresses seek. The acting of Al Pacino, Robert DeNiro, Jack Nicholson and Jessica Lange, he notes, “are good examples. These artists have learned how to harness the power and intensity of their own rage (among other daimonic emotions), deliberately tapping into their personal demons to animate and intensify their acting. Another powerful actor, acclaimed for her performance in “Mulholland Drive,” Naomi Watts commented about working with director David Lynch, “David saw me for myself and was OK with my self-doubts. “An artist can be understood as someone who strives to express him- or herself creatively rather than destructively. “I see it as a conscious choice one makes in life, to aspire either toward the light or the dark, positive or negative, the creative or destructive. “The daimonic demands expression, one way or the other. The artist — be it the actor, musician, painter, playwright, poet, novelist or simply a person who lives life very creatively — is able to give voice to his or her demons constructively rather than acting them out destructively. “So acting and ‘acting out’ are two different things. “Acting out is a compulsive, unconscious and generally destructive expression in life of the exact same feelings the actor expresses on the stage or set. “But the actor deliberately, and largely consciously, chooses to express the daimonic artistically — and this is therapeutic insofar as he or she is liberated in some measure from the need to act out such passions literally as, say, a serial killer or other violent criminal does. “But to confront consciously one’s inner demons — the daimonic — takes great courage. One such example, painter and sculptor Niki de St. Phalle, was able to find “a fertile outlet for her ferocious rage toward men — and the dominant masculine art establishment — via the creative expression of violence in her highly controversial work. He is an example of what Diamond calls an angry “dysdaimonic genius” — someone possessed by the daimonic. Other examples he cites include novelist Richard Wright and painters Jackson Pollock and Vincent van Gogh. “The fact that van Gogh suffered from severe psychopathology — including substance abuse — is indisputable,” Diamond writes. All true artists at times function “in a state of daimonic possession to some extent,” Diamond says. 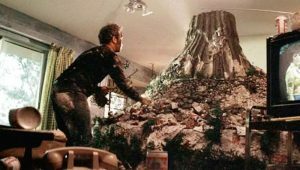 “In Steven Spielberg’s classic, Close Encounters of the Third Kind, actor Richard Dreyfuss gives us an incredibly compelling, dynamic and utterly convincing view into the daimonic drivenness of the artist. “He actually is compelled, against all convention, to become an artist, a sculptor, in order to find some way to realize and give meaning to the vision in his head — in that story, a vision implanted by extraterrestrial visitors. “Dreyfuss’ character says, ‘I know this means something.’ He can’t figure it out; that’s what he’s struggling with: trying to give meaning to his experience. “But there is also a lot of destruction in that state: he’s wrecking his marriage, wrecking his home, his health, and this is very much true of that kind of daimonic possession state in intense creativity. “Evil is of fundamental importance also in the creative process. This closeness of evil and creativity can be seen in the lives of those who are unsuccessful in finding a positive creative voice. “If once the daimonic has been wakened,” warns Diamond, “and no constructive conduit for self-expression can be found, violence, destructiveness, and evil offer convenient alternative outlets. The goal for psychotherapy with artists and other creative individuals, he explains, is “not to eradicate the daimonic, to drug or rationalize the demons out of existence. “Not only is this not desirable; it is not possible, at least not in the long-run. 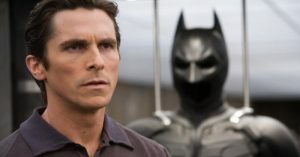 As Rollo May put it, the therapist’s task is to awaken and confront the demons, not put them to sleep. “There was a recent study done which concluded that psychotherapy was at least as effective for treatment of at least some psychiatric disorders as psychotropic drugs — and the positive effects are more enduring! “Why is this? Because when therapy is done well, the patient has integrated cognitive and other tools to deal more constructively with his or her demons. 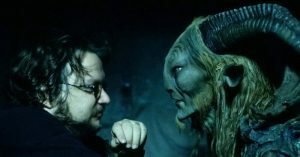 “Some artists like Ingmar Bergman, for example, have learned to live with their demons rather than trying to simply suppress or divorce them. “But that is a false fear as regards any therapy that respects, fosters, and cultivates the daimonic,” Diamond feels. “Still, many artists understandably resist therapeutic treatments aimed at toning down or suppressing the daimonic cognitively, behaviorally or biochemically. “Creativity can be simplistically defined as the constructive expression of the daimonic. 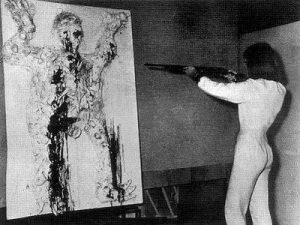 “When the artist gives voice to his or her darkest impulses in his or her work, the destructive impact is minimized and the daimonic energy positively informs the work. During the creative process, Diamond finds, “one can enter into what I call a state of ‘benevolent possession.’ It’s a sort of trance. “The artist allows herself or himself to be swept up in the raging current of primordial images, ideas, intuitions and emotions emanating from the daimonic or unconscious, while, at the same time, retaining sufficient conscious control to render this raw energy or prima materia into some new creative form. “This kind of voluntary possession can be a constructive, integrating, even healing experience. “But its inducement demands specific attributes, discipline and skills, including adequate ego strength to withstand and meaningfully structure (rather than succumbing to) daimonic chaos. “The boundary between benevolent and malevolent possession is perilously permeable. “The insight, creativity, inspiration and ecstasy of voluntary possession,” he explains, “can quickly deteriorate into destructive, involuntary possession, otherwise known as madness or psychosis. “This is the dark side of creativity. This is, for example, one way of thinking about mania in bipolar disorder, which has long been associated with possession, madness, and creativity. “Many artists with this syndrome welcome or seek to intentionally invite possession in order to enhance their creativity. Drugs and alcohol are often employed precisely for this purpose, a sort of chemical lubrication of the creative process. The idea of possession has been around a long time, he points out, and “it used to be believed — and still is by many people — that it is caused by entities of some kind, demons, devils and so forth. 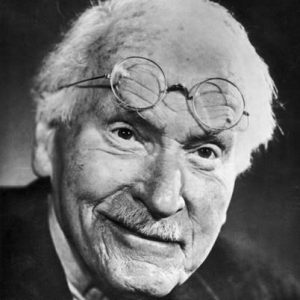 “Jung is the one who talked about it most. He said the shadow, and the unconscious in general, has the power to possess the individual due to its unconsciousness; the more unconsciousness there is, the more vulnerability there is for that kind of possession in the negative sense. An illustration is the Robert Louis Stevenson story “Dr. Jekyll and Mr. Hyde” in which an unconscious personality, the shadow, has the power to take over, “because of its very dissociation: that’s what gives it its power. Anxiety, like anger or rage, is another experience closely connected to creativity. “It is true that not all creativity comes out of anxiety,” Diamond clarifies, “in the same way that not all creativity comes from anger or rage. But anxiety typically, to some extent, accompanies and spurs on the creative process. “Anxiety can be thought of as one of those demons we don’t want to deal with or even know about. So we tend to deny it, avoid it. Drinking, drugs, compulsive gambling, sexual promiscuity, workaholism — all are futile attempts to avoid anxiety. Anxiety is related to the fear of the unknown, of the unconscious, and of death. Such “unacceptable” impulses come from a dark inner territory Jung called “the shadow” and we typically dread looking “in there” or having impulses appear unbidden. “But if we can stand firm without running,” Diamond says, “tolerating the anxiety these unwanted visitations, these ‘close encounters’ engender, we can begin to give them form and hear what it is they want of us. “Creativity comes from this refusal to run, this willing encounter with anxiety and what lies beyond it. “It is an opening up to the unknown, the unconscious, the daimonic. “And it can be terrifying. The real trick is learning to use the anxiety to work rather than escape. And all of this requires immense courage, the courage to create. “So anxiety stems from conflict — either inner or outer conflict — and creativity is an attempt to constructively resolve that conflict. “Why do people create? We create because we seek to give some formal expression to inner experience. Anxiety not only motivates most creative activity, it inevitably accompanies the process. This is the reason “true creativity” requires so much courage, he explains. “One can never know the outcome of the process at the outset. Yet, one is putting oneself on the line, fully committing oneself to the uncertain project. “Hence, one is plagued by the demons of doubt, discouragement, despair, trepidation, intimidation, guilt, and so on. Who wouldn’t feel anxious? “Nonetheless, it is during this process — once we have decided unequivocally to throw ourselves fully into it, for better or worse, to completely commit to it — that there can be moments of lucidity, clarity, passionate intensity that transcend all petty concerns. So this kind of alliance with the daimonic aspect of our selves is of profound value. As Diamond writes in his book: “By bravely voicing our inner ‘demons’ — symbolizing those tendencies in us that we most fear, flee from, and hence, are obsessed or haunted by — we transmute them into helpful allies, in the form of newly liberated, life-giving psychic energy, for use in constructive activity. Stephen A. Diamond, Ph.D. is a licensed clinical and forensic psychologist practicing in Los Angeles, CA. Dr. Diamond is a designated forensic consultant for the Los Angeles Superior Court (criminal division), and maintains a private psychotherapy practice where he sees many talented individuals, including members of the Screen Actors Guild. A former pupil and protege of Dr. Rollo May, he has taught at the Pacific Graduate School of Psychology, J.F.K. University, the C.G. Jung Institute–Zurich and the Institute of Transpersonal Psychology. He was a contributing author to the best-selling anthology Meeting the Shadow: The Hidden Power of the Dark Side of Human Nature. and a newer version Anger, Madness and the Daimonic: The Paradoxical Power of Rage in Violence, Evil and Creativity. Also see Stephen A. Diamond’s site and Psychology Today blog Evil Deeds. “I believe that there is a whole dimension that I wouldn’t call supernatural but ‘supranatural,’ that I believe in,” he says. 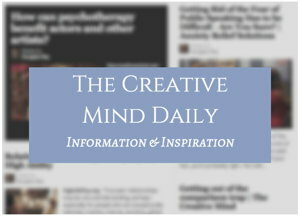 From my article Developing Creativity and Business Success Using Our Intuition. Photo: “comfort in shadows” from article Owning Our Shadow Self. These topics of the daimonic and our shadow self are also addressed in many other articles on The Creative Mind network of sites – you can find them by using one of the search boxes.